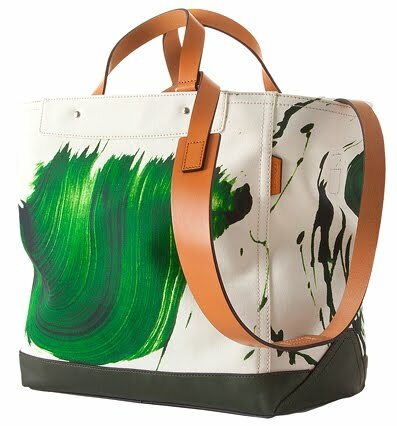 James Nares X Coach Spring Summer 2012 Collection is a luxurious tote bags designer art collaboration that illustrates the artist’s brushstroke paintings to life on double-layered Italian canvas with vachetta leather shoulder straps and handles and vegetable-tanned leather base. 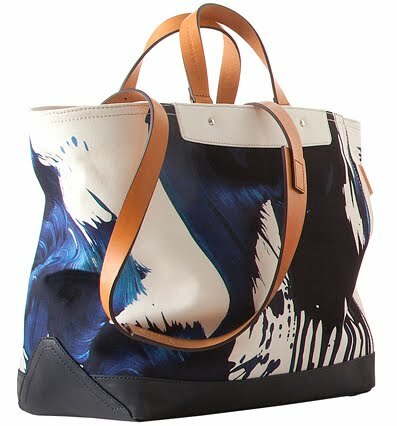 The elegant design with excellent craftsmanship are held together by a single heavy-duty seam and the artwork imprints the impression of a painting set in motion. Each bag is numbered and features a Coach leather storypatch with James’ signature.